Met Éireann is warning that heavy rain forecast for tonight and the weekend may aggravate the flooding situation. Several hours of heavy rainfall resulted in flash floods in many parts of the capital. Some DART services were suspended for a time this evening but have now been restored. However, rail services between Drogheda and Dundalk are not operating tonight due to the flooding. In road closures as a result of flooding, the worst affected counties tonight are Meath, Louth, Leitrim, Mayo, Sligo and Donegal. With heavy downpours continuing in the northeast of the country, worse flooding is expected in parts of Meath and Louth. 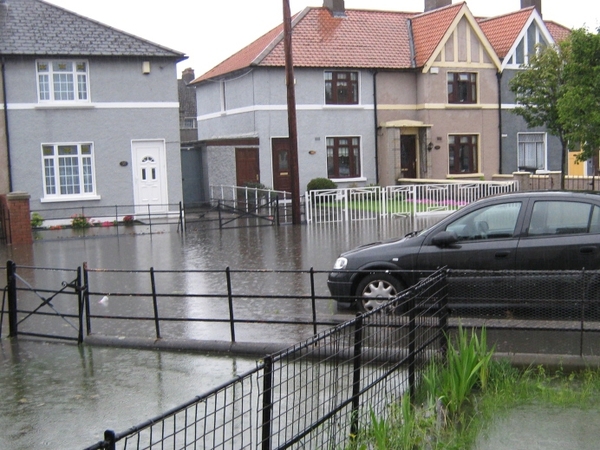 Hundreds of homes were affected by flooding in the Dublin area last night. However most roads which experienced flooding overnight reopened to traffic this morning. The homes worst affected were in Finglas, Glasnevin, Clontarf and Blanchardstown - including an area around Connolly Hospital Blanchardstown. However Dublin Fire Brigade said there was no serious damage caused. 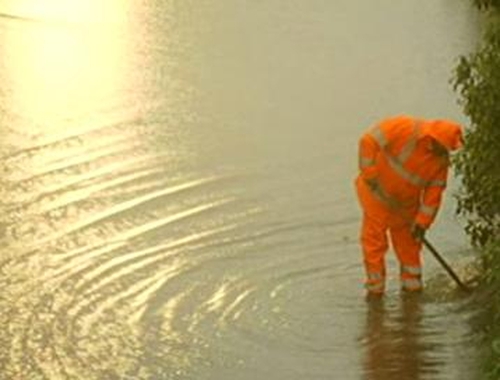 The N3 at Blanchardstown was closed for a time and there was flooding on the M50. Some lanes on the Naas Road and Carlingford to Newry Road in Co Louth were also closed. In the south of the country, the main Castleisland to Killarney road was impassable this morning due to flooding and some cars were stranded. The fire brigade was called to the scene. The Gneeveguilla Killarney road was also impassable after a river broke its banks. Ballinorig in Tralee town reported flooding and there was a tree down on the road to Ardfert quarries. A tree was also down on the road between Tarbert village and the ferry. Motorists were advised to drive with care along all routes where surface water remained.